# of Pages: 294 p.
Evangeline is going through a difficult time as her parents have recently separated due to her father’s infidelity and she cannot bring herself to even look at him let alone talk to him. Her best friend, Adrienne, is very supportive but is also very involved at school and is therefore not around as much as Evangeline would like. After reading one of her mom’s romance novels Evangeline decides that what she needs is a true “crimson kiss.” In order to find her perfect kiss she begins going around kissing random people and soon gets a reputation. As rumors swirl about her she must decide what it is she is really looking for and how she can center herself before spinning completely out of control and losing everyone she cares about. This story is about a girl who is struggling with her parents’ separation and finds herself trying to look for things in life that she thinks she wants. In the end, she discovers that she does not even really know what she wants and she must face some of the difficult situations she has been trying so desperately to avoid. The main situation being that she refuses to speak with her father even after his repeated attempts to communicate. The story is entertaining and will be popular with teenage girls. 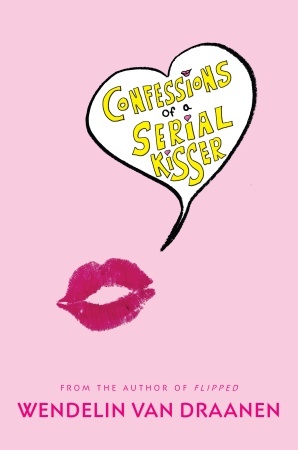 this book is so freakin awesome..it shows what can actually happen in a teenage girl’s mind.. that can actually happen.. I agree. I loled sooooo much!!!! !